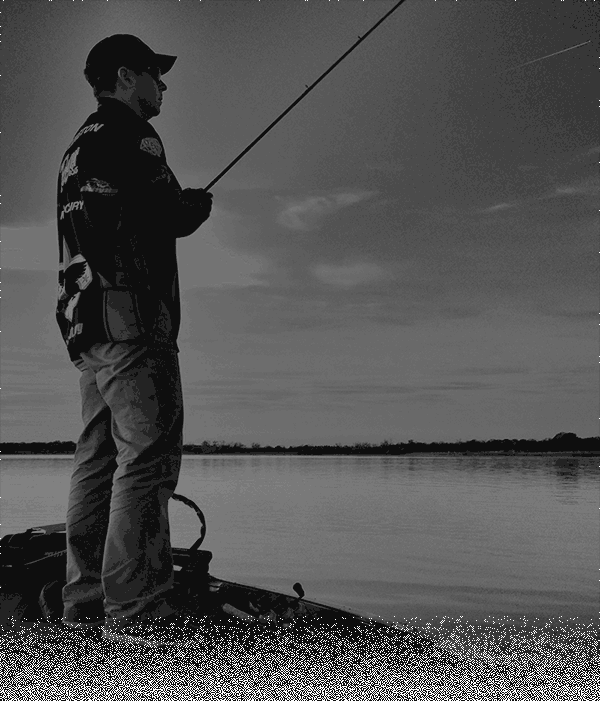 Unlike many pros who learn fishing from their family, Tom is a self-made angler, learning how to fish for smallmouth bass on a tributary stream of the Mississippi River in the Upper Midwest while growing up on the family farm in Galena, IL. Tom earned a Marketing degree at the University of Illinois, learning how to fish the natural lakes and reservoirs of Illinois and Wisconsin while working in sales for General Electric. Moving to Texas in 1999 to pursue a fishing career, he spent 5 more years in marketing and sales leadership positions with Newell Rubbermaid while working with powerhouse brands like Rubbermaid, Sharpie, & Irwin Tools. Tom left the corporate world to begin fishing full time in 2004 as a bass guide on Lake Fork. In 2008, he finished in the Top 10 season points of the FLW Rayovac Series, earning a berth as a Pro on the Walmart FLW Tour. Tom has fished as a Pro for 7 seasons, earning the reputation as one of the top offshore structure/ledge fisherman and an expert at using his electronics to find fish. 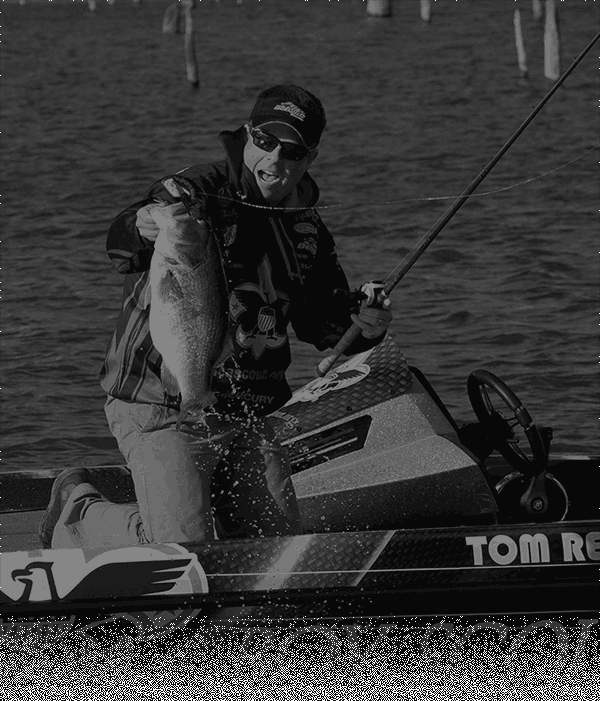 In addition to fishing as a pro, Tom has been a participant and host of the “Big Bass Battle‿TV show since 2011. Originally airing on NBC Sports, the show can now be seen on Sportsman Channel and WFN. In addition, Tom was a regular cast member of WFN’s “Belize Outdoors‿which aired in 2014. Tom resides in Royse City, TX (near Dallas) with his wife Jennifer and 9 year old son Nathan. The family is very active in Nathan’s youth baseball and Cub Scout activities. Besides fishing, their favorite family vacation activity is hiking in the mountains and being together in the great outdoors.